Place all ingredients in a bowl and mix together, add the kosher salt and pepper to taste. I love to serve this with grilled bread. Ciabatta or Tuscan Bread is perfect. Drizzle a little oil on each bread slice, top with a pinch of coarse kosher salt and throw on the grill until it’s crisp and golden. 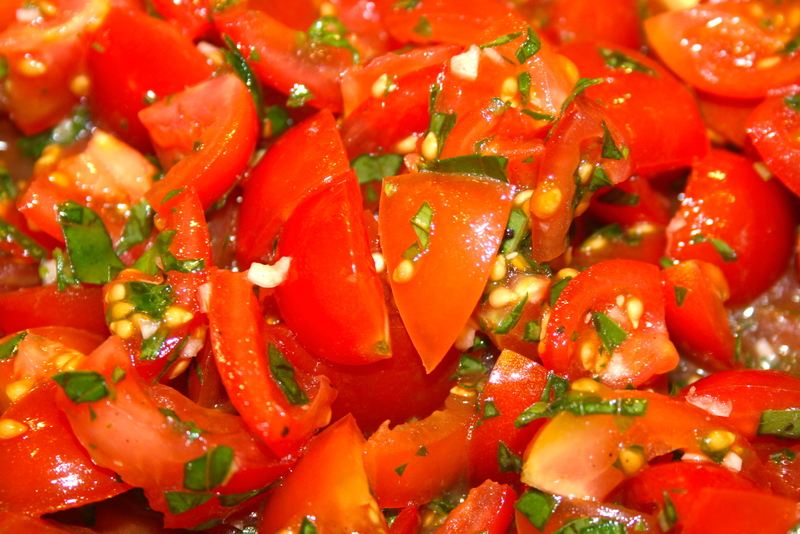 Top with tomato mixture. Don’t we all know how to make this by now? Yum!